It’s been announced that there will be new changes to driving laws in the UK this year, last year we seen major changes to the MoT test and this year will see a few changes to tax and other driving laws. The changes are set to change the tax rates and how we use motorways. In particular driving laws are being changed for using smart motorways, overtaking cyclists on the road, tax rates and this year we will see a change for learner drivers, they can now use the motorway. Take a look at the changes in more depth and see how you could be affected. Car tax in the UK is changing in April 2019, this increase will add anywhere from £5 to £65 additional onto their car road tax. Most motorists will receive a £5 increase unless your car produces more pollution then you can expect an extra £15 additional added on to your road tax. There will also be up to £65 added for cars that are new. See the list which might help you decipher roughly how much you should expect to pay additional. You can find out what emissions bracket your car falls under if you check your V5C there is an 11- digital reference but you can also look this up on the DVLA website. As frustrating as it is meeting a cyclist on the road when you’re in a rush we can all agree these changes are long overdue to protect both the cyclist and the car owner. Motorists should always be considerate when attempting to overtake a cyclist. The new driving law change will state that you must leave a gap of at least 1.5 meters when passing a cyclist. This makes it safer for the driver to pass the cyclist and ensures safety for both the driver and the person on the bike. Of course, it goes without saying you should wait until it’s safe to pass the cyclist. If you are caught out overtaking a cyclist unlawfully you could be looking at a £100 fine and up to 3 penalty points on your driving licence. These nifty motorways where constructed to attempt to reduce traffic by using cameras to monitor and manage the flow of traffic and they are providing very useful. If you haven't used a smart motorway before it’s basically a controlled motorway where speed limits are adjusted and the ‘hard shoulders’ are opened to control congestion. Lanes that are marked X are not in use and there will be penalties introduced soon if these rules are not followed. The only time the X lane should be used is if your car has broken down or you’ve been in an accident. The new driving laws also affect learner drivers, up until now learning to drive didn’t include the motorway, it only included driving in towns and cities however 2019 will see changes to this. As it stands it’s illegal for a learner driver to drive on a motorway. This change was made to improve driver confidence and improve driver safety, often new car owners avoid the motorway just simply because they haven't driven on it before. The law now makes it possible for learner drivers to take a lesson on the motorway accompanied by a driving instructor. The car must have dual controls. It’s also important to remember if you see a learner driver on the motorway to be cautious and remember that they are only learning the ropes so be patient and overtake in a safe manner and when the overtaking lane is clear. 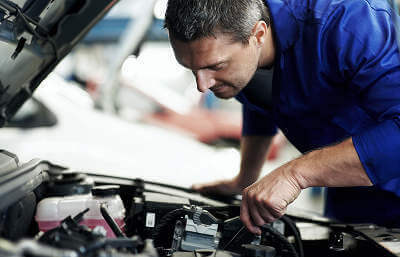 Keep an eye out on all our latest blogs with driving tips, news, MoT updates and advice from our team of car experts and should your car need anything be sure to enter your reg on mycarneedsa.com and we’ll start gathering you quotes for FREE!